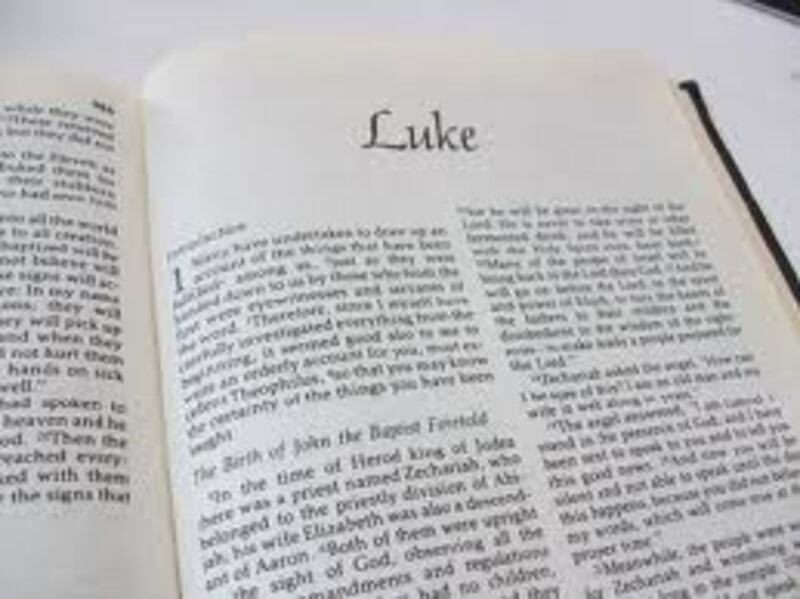 The Christmas story found in the Holy Bible (Luke 2) is cherished by all Christians. The birth of our Lord and Savior, Jesus Christ is the most important event in history, next to the day of His resurrection. Our Lord Jesus Christ was the ‘firstborn of the new creation’ (Luke 1:35; Col 1:15) and ‘firstborn of the dead’ (Col 1:18; Rev 1:5). Likewise, we are born of the flesh, then born of the Spirit (John 3:6-7; 2 Cor 5:17), and will be raised from the dead (Rom 8:11). This is the miraculous gospel of salvation. While multitudes around the world celebrate “Christmas”, whether they focus on Saint Nicholas (aka Santa Claus) and/or the birth of Jesus Christ, all Christians know Jesus was not born on December 25th. This date was established by the Roman Catholic church in approximately 360 AD, when they held a special mass to honor Christ, while the pagan world celebrated Saturnalia, a feast honoring the birth of their sun god. This eventually became known as "Christ-Mass". Why would we willingly celebrate Christmas on December 25th, knowing its pagan origins? Does it attract those of the world to the true God when they confuse the birth of YHWH with the birth of the Roman sun god? Why not celebrate the birth of Christ on His true birthday? Is He pleased? That is the question. You may be shocked to find out that 'Mass' actually means DEATH ~ quite the opposite of BIRTH! Christ-Mass is interpreted DEATH of CHRIST. My subjective thoughts on the matter include how many of our celebrated ‘holy days’ (aka holidays) revolve around ‘saints’. Clue? Saint Valentine, Saint Patrick, All Saints Day, Saint Nicholas…come on. How blind are we? None of these saints are in the Bible. While the world may celebrate those they've deemed as ‘saints’ (who have passed on, no less), I celebrate the living God with the living saints (followers of Christ)! While Catholicism embraced pagans and their practices in order to grow their members, that and their ongoing violation of the second commandment tell me NOT to follow them down that road. Is it not ironic that the true saints of God who opposed the RCC were burned at the stake? There are many historical and pivotal events in the history of the Church. Why don’t we move to make straight the crooked ways of the world? This is hardly martyrdom, in comparison to what the saints back in that day suffered. Did you know the Bible gives us clues to the exact date, and even the timeframe of the birth of our Lord and Savior, Jesus Christ? You might be surprised to find it appears to be September 11, 3 BC. The Bible gives us Clues! 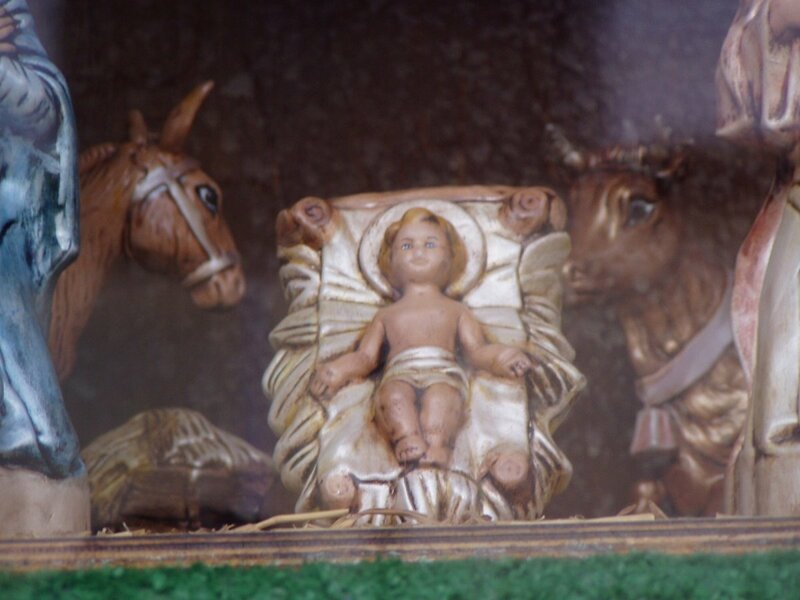 Nativity scenes often include three wise men bowing at the cradle of the newborn babe. This is certainly not biblical. 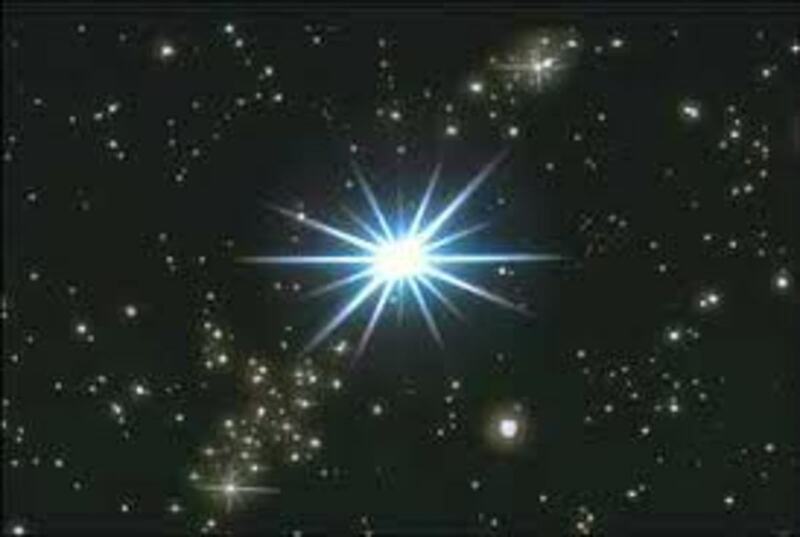 The Magi came from the East, following the great star that appeared in the sky over Bethlehem. Just how long was that star in the sky anyway? They certainly didn’t make the trip in a day. It’s possible it took over a year and would have placed them in Jerusalem about December of 2 BC. Jesus would have been 15 months old. "What about the death of Herod as it relates to all this? 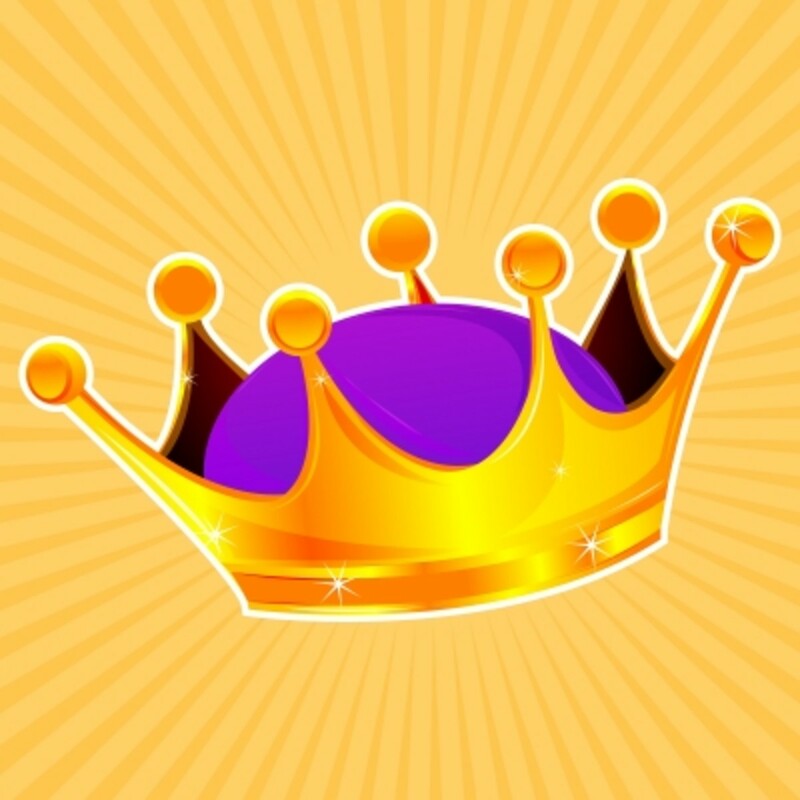 After all, many scholars have said that king Herod died in 4 BC or 5 BC? Dr. Ernest L. Martin in his book, laboriously goes through each possibility for the death of king Herod and with a number of other scholars, proves that Herod died a couple of weeks after the total lunar eclipse of January 10, 1 BC. He pinpoints the date of death of Herod to about January 29, 1 BC plus or minus a couple of days. 1 BC - total lunar eclipse on January 10, time between eclipse and Passover was 12.5 weeks. Dr. Martin and a number of other scholars have shown that given the details by Josephus and other historians of that time, that king Herod had to have died almost 3 weeks after the lunar eclipse. Then there were preparations for a royal burial and a 30-day period for the procession and burial. After that was over, the new king, Archelaus took care of many royal duties before Passover. Given all this, the two springtime lunar eclipses in 5 and 4 BC could not possibly be the lunar eclipse preceding king Herod's death. You'll have to read Dr. Martin's book to get all the details and other supporting information. The point is that scholarship by Dr. Martin and others proves that what the Bible code shows in relation to the birth of Yeshua (Jesus) is both reasonable and expected." Finally, it is a beautiful revelation that the very day of our Lord’s birth in 3 BC was also the start of the Judean New Year known as Tishri 1 (The Day of Trumpets)! Today it’s called Rosh Hashanah. This Judean New Year started at sunset on September 11th of 3 BC at 6:15 pm, precisely when the “woman was clothed with the sun and the moon was under her feet”. This was the birthday of our King, Yeshua Ha-Mashiach!! It is no wonder; it is wonderful ~ for God’s timetable is perfect. As I continue to research the birthdate of Christ, there are many articles. I have given three links below, the last of which reveals the Bible code, and I quote the result: "What it shows is that Yeshua (Jesus) was born on Rosh Hashanah (head of the year), which is also called Yom Teruah (day of blowing) and in English the Feast of Trumpets. It's also Rosh Khodesh which means the head of the month. 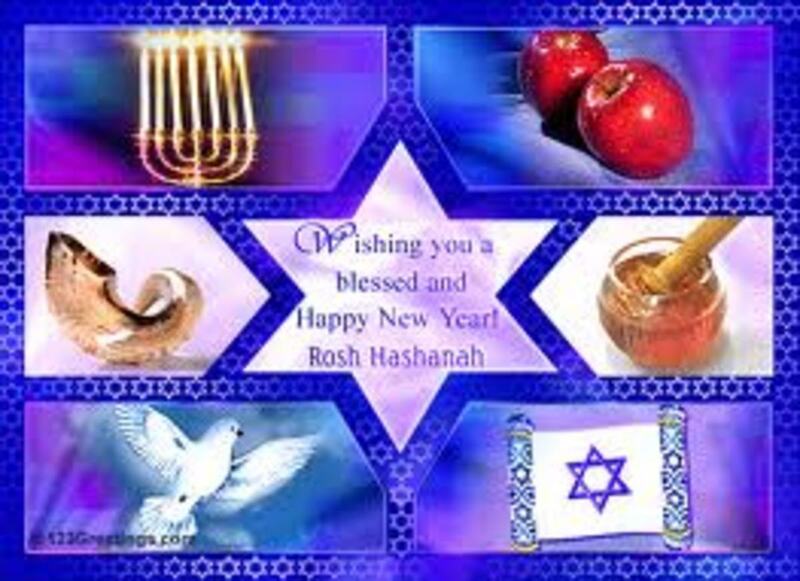 Rosh Hashanah occurs on the 1st of Tishri every year in the jewish calendar, and is in the fall of the year. The matrix shows that the birth occurred in the jewish year 3759, which is the fall of 3 BC. In 3 BC, the 1st of Tishri occurred on September 11th. With the matrix showing Rosh Hashanah, Yom Teruah, Rosh Khodesh, and 'on 1 Tishri', it is clearly showing 1 Tishri as the exact day of Yeshua's birth." So, as for me and my house, the nativity will be displayed (without the wise men) in September!! Hi Gideon, I very much appreciate your comment. Yes, I am dead set on things until something credible trumps it, so as of late, have not come across anything to cause me to soften. I do believe in a 9/11/3 BC birth and a Passover 30 AD death, on a Wednesday. As you can see in just this article (and I've written many more regarding Catholicism, the Mother of Harlots), no Catholic commentary or link has any credibility. Jesus said three days and three nights - that means "or a combination of any part of three separate days" is simply contradicting what Jesus said - in other words, a LIE. Hello, Israel -- I did a little research to compare the calendars: Roman (pre Julian), Julian and Gregorian. The Julian calendar was introduced by Julius Caesar in 45 BC and replaced the earlier Roman calendar. When using a calendar converter of Tishri 1, 3 BC (Hebrew) to the Julian Calendar of that era, the date lands on 9/10-11 (or 9/11 as the 24-hour Hebrew day). The Gregorian calendar was founded by Pope Gregory VIII in 1582 AD, so is irrelevant, as it did not exist at the time of Jesus' birth. 9/11 3 BC would be equivalent to Tishri 4 on the Hebrew calendar. So, we're talking a 3-day difference. If you find information to the contrary, please share your resources. Thank you and God bless. A correct date for Christ's birth is worth nothing unless we know what calendar it belongs to - Gregorian or Julian. Not a single article or book, including Dr Martin's reveals that information. In English that's called insanity. Well, Steven, Christians that "acknowledge that Jesus/ Yeshua was born on Christmas day" are acknowledging a LIE. If the Truth is in us and we are to live and walk in the Truth, we need to first KNOW the Truth and repent from our error - repent from the LIE. The Catholic church altered the very Scriptures we read and have taught their congregants LIES. 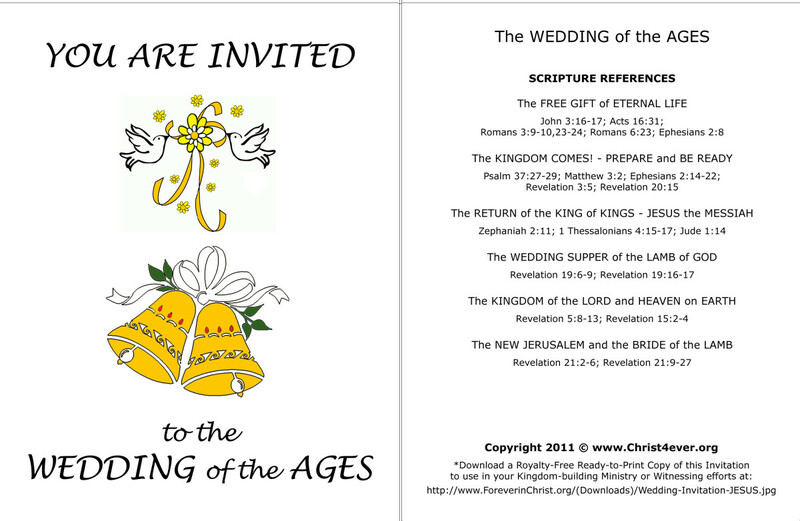 Because they forbid their congregants from reading the Bible for themselves, they got away with this deception. Protestants got ahold of the Scriptures and published them for everyone to read; however, even they must find the alterations because they stick out like a sore thumb and have no second witness (the criteria of God for establishing Truth). Even with the alterations, the Bible does NOT support celebrating the birth of Christ on December 25th, the birth date of the pagan sun god and furthermore, celebrating it in the same way the pagans do their gods. In fact, the Bible FORBIDS it. Blessings to you. That is not true Christians do acknowledge that Jesus/ Yeshua was born on Christmas day don't forget many Christians were Catholics before converting to Christianity. Whether they were Roman Catholics or Catholics still form of Catholicism. They are songs on Birth Of Jesus on Christmas Day. Don't know why Christians don't celebrate Hanakkah When Jesus Yeshua had no problem with it Yet He is a Jew. God chose just 12 men to spread the Truth of the gospel throughout the world. There are far more than 12 born again Christians that are blowing the trumpet about Christ Mass and begging their brothers and sisters to "Come Out of Her, My People"! I don't know WHY God convicted all of us who have pulled out of Christ Mass to do so, if it wasn't IMPORTANT to Him! There are those "Christians" who DARE to declare Satan is using us to take "Christ out of Christ Mass"?!! That is blasphemy. Christmas is NOT about Christ, period. May God bless you for remaining obedient to Him and supporting the Truth for the body of Christ. Thank you JD, for being an encouragement to me to remain strong in the conviction the Lord has so graciously given me to worship Him in spirit and truth. He will not share His glory with another. To God alone be the glory! Brian, here is a Catholic article (so, it's not biased against Catholics) -- you can do further research on what "Mass" actually means. What we CAN agree on is, it DOES NOT MEAN LIFE OR BIRTH. Christ Mass is "Christ Dismissed" or "Christ is Sacrificed", NOT "Christ is BORN". Where does it say that "MASS" means "Death"? I find no such definition. What is your source please. Hello Laura, I appreciate where you are and am encouraged that Jesus may just lead you out -- Do you read your Bible or do you just feast on all the symbolism your "shepherds" feed you to 'authorize' worshiping God in these ways ("converting pagan symbols"). Let's read Leviticus 10:1-2 when Aaron's sons (Moses' nephews) decided to worship God contrary to His instructions: "Aaron's sons Nadab and Abihu took their censers, put fire in them and added incense; and they offered unauthorized fire before the LORD, contrary to his command. So fire came out from the presence of the LORD and consumed them, and they died before the LORD." We can also go back to when Moses was on Mt. Sinai receiving the 10 Commandments from the LORD in Exodus 32 -- what caused Moses to smash the commandments when he came down to the people? God was furious and so was Moses. They had gathered their gold and made a golden calf to be the symbol of the God who just delivered them from Egypt! Shouldn't that have been a good thing? That broke Commandment #2, specifically! How about God's command that we NOT worship Him the same way pagans worship their gods? (Deut 12:30-31) Have your 'shepherds' missed that somewhere along the way? I hope you don't miss it. Please hear the voice of the angel of Rev. 18:4 ~ "Come out of her, my people, so that you will not participate in her sins and receive of her plagues;". I'm just a voice here -- praying people God has called to hear will indeed hear. That word is 'Sh'ma' as in "Hear, O Israel...." It means not only to hear with your ears, but OBEY. So, I will break down what I know. Christmas is celebrated after the shortest day of the year, to acknowledge that Jesus brings the light. The evergreen tree (which was part of pagan worship) was converted into a Christian symbol, as Jesus never dies, just as the evergreen is always green. The pieces of metal placed on the tree were red balls to indicate the blood shed by our Lord on the cross and then there were bread type cookies placed on the tree to represent that He is the bread of life. The pagans of that time learned to associate all their pagan symbols with Jesus as they converted to Christianity, not the other way around. The Church did not "stoop to paganism", they TRANSFORMED it. Do you really thing God would be unhappy that thousands of pagans became Christians with the help of transforming their pagan symbols into Christian symbols? I hate to say it, but your anti-Catholic views prevent you from seeing the good that was done with a mere "Christmas" tree. I also wonder why you, in the year 2014, interpret the bible better than anyone in the year 100, or 200, or 800, or 1,000? It's sad that I worship Jesus, just as you do, yet you would probably not acknowledge that, as I worship as a Roman Catholic. Yes, I think the Church should have continued to observe the feasts, for not all have been fulfilled. We do see the angels announcing the birth of our Savior and King, so it was obviously something to celebrate! We just shouldn't be celebrating it at the time and in the ways the pagans do their gods. Appreciate the comment, celafoe. God bless you! EVERY holiday and celebration in the old testament was given by God with detailed instructions, when , where, how, for how long etc. Melissa, We also don't twist Scripture to fit our needs. We worship God with our lives. It's not just a religious service held once or twice a week of singing, praying and listening/reading Scripture. We can't control the calendar or the days of the week. We live IN this world, but are not to be OF it. We CAN control HOW we worship God. Regarding the golden calf - this was used as a symbol or idol to worship God, the God who just delivered them out of Egypt. 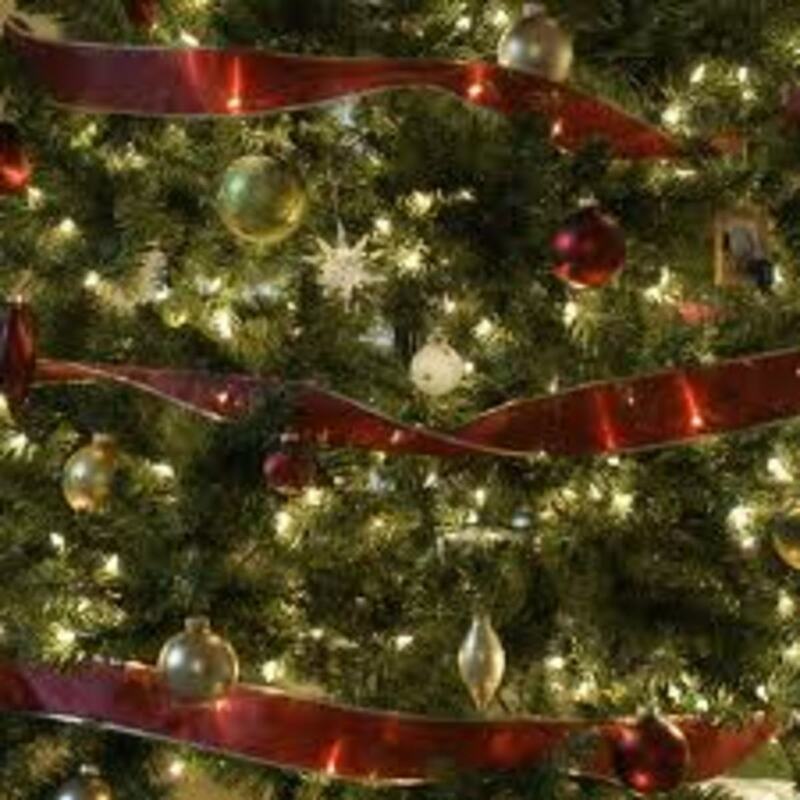 Christ-Mass trees are used as symbols or idols to worship God. God does not want us worshiping Him as the heathen worship their gods. There's no more to be said on that matter. Regarding the biblical feasts - they are obviously a shadow of something real. Jesus fulfilled all but the Fall feasts. If we observe them, we know they are still a shadow of the reality found in Christ. In no way do the biblical feasts resemble pagan holy days. Regarding the Sabbath Day - Heb 4:1-11 tells us what the Sabbath rest is. We do as we are convicted by the Spirit. We are to obey our LORD. There are many people who are making excuses to be in the world and OF it, stamping the name of Jesus on it and calling it holy. God tells us not to call what is evil good or good evil. In fact, He says "Woe to them". I will continue to testify that God's People need to come out of worshiping God in pagan ways. What they have the power to control, control. They are not accountable for things they cannot control. well, I don't think we can dismiss scripture so it fits our needs. isn't this what the Pharisee did? isn't this a classic example of what Jesus says when He points out that people were ignoring their parents to give their tithe to God? I wonder, do you wear a wedding ring? Do you pray? Do you sing songs to God? do you have any little figurines in your home or out in your garden? do you forbid the names of the days of the week, or perhaps the names of planets in our solar system (among many other names of things)? These are all things that can be considered pagan! that certainly does not mean you worship anything but our living God. I definitely know the puritans banned Christmas. its not a surprise. I have studied this subject many years since I was raised to only celebrate the holy days that God created. we did the whole thing, got rid of our unleavened bread and all. only went to church on Saturdays. all the while thinking that others were using excuses to worship God in false ways and were displeasing Him. when I read the Exodus scripture you posted I do not see how they were worshipping God AND the calf. to me, its clear they were REPLACING God with the calf. which is certainly wrong, and certainly idol worship. so no reason God would be pleased with it. Deut 12:3-4 I think you mistake this. I have pictures of Jesus and crosses all over my home. my parents certainly had none. I agree, if you worship these things, they should not be there. these are not alters of worship, nor do we pray to them as the pagans did. they believed in those articles as their Gods, I do not. these are reminders in my home of who saved me. when my children see these crosses they know we do not worship a picture. they do know however when they see a cross, they are reminded of our Lord and Savior and what He did for us. Jason, I did not post your links, but invite you to read my response to Melissa and hope you will read and view, as my testimony is to draw God's children out of the world and under His wings. Hi Melissa, yes those who wish to find some way to excuse the worship of God with Christmas trees, yule logs, mistletoe, wreaths, Santa Clause with his reindeer and the whole nine yards will often quote what you have shared here. I would like to take you back to the golden calf at the base of Mt. Sinai. Read Exodus 32, noting vs. 7-8 "Then the LORD spoke to Moses, "Go down at once, for your people, whom you brought up from the land of Egypt, have corrupted themselves. "They have quickly turned aside from the way which I commanded them. They have made for themselves a molten calf, and have worshiped it and have sacrificed to it and said, 'This is your God, O Israel, who brought you up from the land of Egypt!'" Wow. Who were they worshipping with the golden calf? The same God you and I do! Was God pleased?? Let's look at Deut 12:3-4 "And ye shall overthrow their altars, and break their pillars, and burn their groves [Asherah] with fire; and ye shall hew down the graven images of their gods, and destroy the names of them out of that place. You shall not worship the LORD your God in that way." I can tell you that people have actually fallen in love with Christmas more than they love God. If God says, "Don't worship Me in this way" are you going to obey Him, please Him? Or, are you going to keep denying what He says because you love the 'holy' day so much? Because people would think of you as a strange, religious person and possibly reject you? Even your own family? Well, guess what. I obeyed the LORD, though it took me two years to do so. He continued to convict my heart and I had to obey Him. My family has accepted that I don't celebrate and they know why. They choose to continue - they will have to deal with this issue as a personal one between them and our God. Each of us is accountable to do as the LORD leads us to do. And He did not lead us to celebrate Christ-Mass. A false religious system called the Catholic Church and traditional practice has brought us where we are today. You might even be surprised to know that Christ-Mass was banned in the colonies by the Puritans in early America...praying for you in my heart, Meslissa. Thank you miss! and God bless you! I guess I didn't mean 'to celebrate His birthday, but to celebrate that He was indeed born. I do think that our God is a God of hearts. and this is why He doesn't require us to be circumcised or that what we eat would make us unclean. so if someone worships God, yet has a Christmas tree, or even 'believes' that is the day to celebrate His birth, they are obviously not worshipping another god or idol. what they are doing is for Him in their heart. Just like Jesus healing on the sabbath. Jesus says...' And then he added, “It is what comes from inside that defiles you. For from within, out of a person’s heart, come evil thoughts, sexual immorality, theft, murder, adultery, greed, wickedness, deceit, lustful desires, envy, slander, pride, and foolishness. All these vile things come from within; they are what defile you.”-Mark 7:20-23 and does Romans 14 not speak of this very thing? Well, I don't agree with "dec 25th. that would have been when the wise men celebrated His birthday". They knew a King was to be born and they came to seek Him out and bow down to worship Him, yes, but not to "celebrate His birthday". They brought three gifts that were symbolic and prophetic: gold (a gift for the King), frankincense (prayer/intercession) and myrrh (burial spice). Christ-Mass is pagan and I'm glad you know this and do not worship God in the way the heathens worship their gods. God bless you, Melissa. hi! well, I don't think I said anything to the effect of you celebrating Christmas or that it was Jesus' birthday. I was just wondering what you thought about the star lining up over Bethlehem and stopping on exactly dec 25th. that would have been when the wise men celebrated His birthday with gifts and bowed down to praise Him. it didn't have to be His birthday to be a precious occasion. we didn't celebrate Christmas growing up, so I get it. its not His birthday. when I was 29 I got saved and the Holy Spirit has shown me that I went around offended, trying to tell people that it wasn't His birthday and that they shouldn't celebrate His birth. when really, we should celebrate His birth EVERY SINGLE DAY... along with His life, death, and resurrection. He made that day and every single other day. so, let us rejoice and be glad in it! I was proud to know the truth about that day and that I celebrated the true holy days, and the Holy Spirit humbled me when I met Him. I don't go around with worship in my heart for some 'sun god' or any other idol. but I certainly praise and worship my precious Jesus that day. my children were never taught about Santa or any of that nonsense, we have never lied to them. and we certainly don't tell them that its Jesus' birthday, but I also don't walk around with offense in my heart anymore either. my children are certainly taught the real holy days, the meanings and how they were shadows of things to come. and I praise the Lord for teaching me these things! Hi Melissa - whether the magistrates arrived in Bethlehem on December 25th or not, that was 15 months after Jesus was born and was not His birthday. December 25th is the birthday of the pagan 'son of god' (Tammuz, Mithra, etc.) and I will find NO excuse to celebrate our Savior's birth on that day. Whoops! just realized I gave the wrong name. I think its Frederick Larson who did the 'Star of Bethlehem' documentary. Just wondering what you thought of it. The star shows something going on Sept 3, 3bc. and stops over Bethlehem on dec 25th, 2bc. To all my readers - more confirmation of a 3 BC birth and 30 AD death of Jesus. Jesus said He would be in the tomb for three days and three nights (Mat 12:40), and the Bible declares He rose 'early on the first day of the week' (Mark 16:9). Passover (always Nisan 14) would have to have fallen on a Wednesday. Sure enough, Passover fell on a Wednesday in 30 AD and not again on a Wednesday until 37 AD. Wed night-Thurs night (Nisan 15) = one night, one day. Thurs night-Fri night (Nisan 16), the first day of Unleavened Bread, a high Sabbath = one night, one day. Fri night-Sat night (Nisan 17), the seventh-day Sabbath = one night, one day. Saturday night end of Sabbath = first day of the week, the Feast of First Fruits. Mary went to the tomb AFTER the Sabbath, while it was yet dark (John 20:1). Yes, celeste67 ~ at the time I commented above about the 'immaculate conception', I assumed this was speaking of Jesus; however, someone corrected me, in that it appears the Catholic church made Mary the one 'immaculately conceived' on Dec 8th, obviously to put focus on her conception, rather than that of our LORD Jesus Christ, who was indeed conceived on Hanukkah, Dec 13, 4 BC. And, thus, they celebrate the birth of Mary on Sept 8th, with Jesus actually being born on the 11th of September, yet putting His birthday on the pagan gods' birthday of Dec 25th? I wonder if they would have done that to their beloved "Queen of Heaven"? Regarding Mary remaining a virgin her entire life, they totally deny Mat 15:55 which states, "Is not this the carpenter's son? Is not His mother called Mary, and His brothers, James and Joseph and Simon and Judas?" and Mark 6:3 "Is not this the carpenter, the son of Mary, and brother of James and Joses and Judas and Simon? Are not His sisters here with us?" And they took offense at Him." What's shocking to me, since I also recently found this out about Catholic dogma, is they promote people remaining virgins WITHIN MARRIAGE! They are more holy, if they do so, than not! How would they ever expect procreation to take place? Virgin births of God again and again? So ridiculous!! God commanded Adam and Eve to "be fruitful and multiply" and to "replenish the earth", just as He commanded Noah after the flood. Thank you for your comment, celeste67. We do want to keep the facts as accurate as possible, and I appreciate you very much. God bless you. Judahsdaughter, you are correct that Catholics celebrate the Immaculate Conception in December, but incorrect in the meaning of it. The Immaculate Conception is not referring to Jesus being immaculately conceived. It is the erroneously teaching that Mary was conceived without sin and remained a virgin her entire life. Hi, InDetroit - I can certainly respect the view that Jesus was born on the first day of Tabernacles because "The Word was made flesh and tabernacled among us" (John 1:14); however that in itself would not be proof enough, considering all the Bible facts as well as the sign of the birthing of the Messiah found in Rev 12, occurring only at the Feast of Trumpets in 3 BC. Here are my thoughts regarding what was presented in the video link you provided. The Feast of Tabernacles (8 days) follows the Feast of Trumpets (10 days) and shares the one-day Feast of Atonement, so it would have begun on September 21/22 through the end of the month in 3 BC. October would not even be in the equation, as was included in the video (so, he's being a bit careless in his estimation, in my opinion). The Bible does not say the Feast of Tabernacles was the reason there were so many present in Bethlehem (not Jerusalem - Bethlehem is five miles from Jerusalem), but because there was a census of Caesar, that 'all the world should be taxed' (Luke 2:1). As a Jewish male, Joseph would need to be in Jerusalem for the Feast of Tabernacles (Deut 16:16), so he would have gone straight there with Mary, if that was the purpose for their trip. 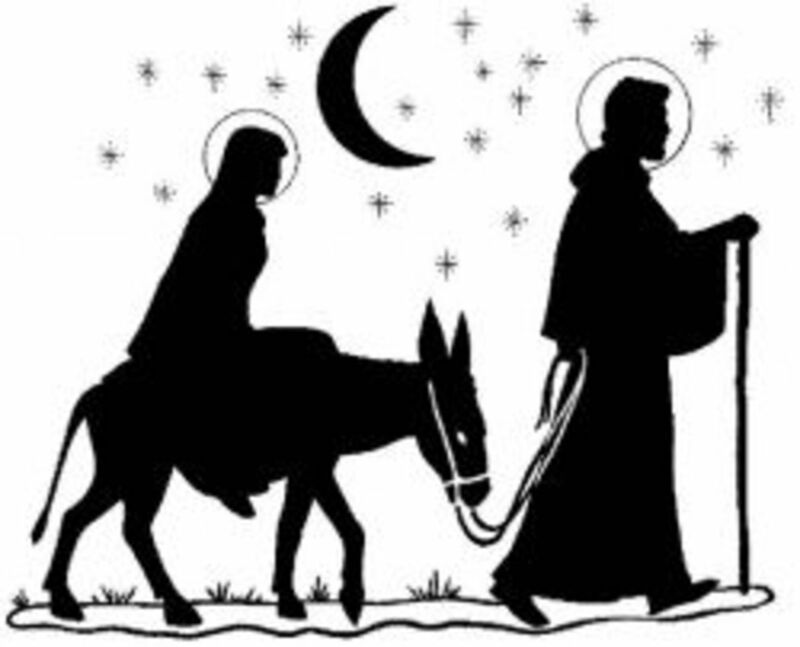 They didn't stop in Bethlehem because Mary was in labor (kind of a side-track to their trip), but because that was the City in which Joseph was born, namely "the City of David", for he was of the lineage of David (so was Mary, his espoused wife). Likewise, when Jesus was born and laid in the manger, the only people we are told were there to rejoice over him were the shepherds in the fields. Again, if He were born ON the Feast of Tabernacles, considering all Jewish males were to be IN Jerusalem for the feast, even the shepherds would not have been out in the fields, but in Jerusalem ON that day and for the eight days of the feast. The wise men did not show up to see Jesus until He was nearly two years old. Where were the crowds, celebrating His birth? The Feasts of the LORD fall on various dates of the Gregorian calendar, depending on the year. Based on the all that is presented in this hub, we're looking at Passover of 4 BC as the birth of John, putting the birth of Jesus six months later, at the Feast of Trumpets, 3 BC. Thank you for the question and for the link. I hope these things are worthy of pondering. One thing we all can agree on is that Jesus was indeed born in September, not on December 25th. God bless you. What do you make of Rabbi Mark Biltz's interpritation of Jesus being born on the first day of the Feast of Tabernacles? I appreciate your passionate comment, Stacy; however the Bible, namely Revelation 1:19 disagrees with your statement, "The Revelation of Jesus Christ is a FUTURE book" - "Write the things which thou hast seen [past], and the things which are [present], and the things which shall be hereafter [future];". My main question to you is, has this child not yet been born, nor was He already caught up to God and His Throne? (Rev 12:5). We know the answer to that, don't we? Yes, John was alive when Jesus was born, died and resurrected. I am excited about what you wrote regarding 9/23/2017, which is most likely the Feast of Trumpets of that year, correct? Dewey Bruton's presentation on "Daniel's Timeline" points to that year for the return of Christ. I have looked this up and found this fascinating article! I agree with you that Jesus was born in the month of Tishri, but to use Revelation 12:1 as part of the evidence is incorrect and you are misinterpreting the scriptures. The Revelation of Jesus Christ is a FUTURE book (near future as far as I am concerned) so to say that Revelation 12:1 already happened is false. Moreover, if you download the Stellarium program and forward it to 9/23/2017 you will find some AMAZING things! First you will find that Jupiter (King planet) is between the legs of Virgo, the moon is indeed under her feet and there are twelve stars crowing her. BONUS- The constellation Serpens is at her legs ready to devour the "child" AND there is a constellation above the head of the serpent that (get this) has SEVEN STARS IN IT (Rev. 12:3,4). Nowhere in any other records shows this event in all this accuracy EXCEPT this date! Jesus was born on the Feast of Trumpets on September 11th 3 B.C. and He was conceived on Hanukkah December 13th 4 B.C. This can be validated through scripture by calculating the time of birth of his cousin, John the Baptist who was exactly 6 months older (See Luke 1). John the Baptist's Father Zechariah was a Priest in the Temple after the division of "Abijah." In 2nd Chronicles 24 we find what time of year the division of Abijah would serve in the temple. Therefore when the angel Gabriel announced to Zechariah that his wife Elisabeth would conceive a son, we know what time of year that was and from that we know when John the Baptist was conceived. So we count 271 days forward (normal gestation period) and we find that John the Baptist was born on Passover in 3 B.C. We count 180 days (6 months) forward and we find that Jesus was born on a Holy Day of Israel called "Yom Teruah" (Day of Blowing Trumpets) (See Leviticus 23). This day is also the "Head of the Year" in Hebrew it is "Rosh" (Head) Ha'Shanah (The Year). If you go forward forty weeks, for a normal pregnancy, we see that John the Baptist was born on Passover. mimib, "So I can ENJOY CHRISTMAS"? Do I WANT to "enjoy Christmas", when it is in direct VIOLATION of God's Word? It should nauseate most Christians to participate in the pagan festivities! The feast days fall on different dates of the Gregorian calendar every year, for Jewish years have 354 days (lunar) vs. the 365 days (solar). Calculating Yeshua's birth on 9/11 3 BC puts His conception at 12/13 4 BC. Try all you wish to make 12/25 acceptable. There is no other reason this date was named than to appease the pagans - IN ADDITION to all the pagan rituals of the fertility gods/goddesses (trees, wreaths, yule logs, mistletoe, etc. etc. etc.). You might find Bullinger's study in the Companion Bible helpful so you can enjoy Christmas. If Jesus was born on Rosh Hashana, then the conception date would be December 25. The early church celebrated a mass on that date. I am not so ready to concede everything to the pagans. For instance, the Christian Sabbath is due to the early church meeting on Yom Rishon, or the first day of the week, or the eighth day, or as we say, Sunday. Bless you, brother Rev. Ted, christ4ever ~~ thank you so much for coming by to read and for your edifying, confirming comment. Praise God our Savior, Emmanuel! Great comparison... I have mentioned in the past that the current Christmas celebration (Dec 25th) is actually closer to the time of The Lord's immaculate conception - but as you have pointed out, the connection with 'Hanukkah' is even more of a revelation. Yes, Steven ~ this is a 'smooth move' to say celebrating 'Christ-Mass' on Dec 25th as the BIRTH or CONCEPTION of Jesus is OKAY. It's NOT OK...not on the DAY of 12/25 or with pagan practices that are merely guised with 'Christian' nostalgia. With Jesus' birthday being September 11th 3 BC, His conception would fall on Hanukkah, December 13th 4 BC. Hanukkah has to do with the dedication of the Temple. Considering the Temple of God Himself dwelt among us (Mat 1:23; John 2:19; Col 2:9), shall we blaspheme by reasoning a way to celebrate Dec 25th as the heathen do? I don't mean to come across harshly, but my heart is frustrated with how far off the path God's sheep have been deceived into habitually treading ~ leading others after them. I sincerely pray, all Christians everywhere REPENT, in accordance with the Word (Acts 17:30). So, If Jesus was born in September......THEN...... 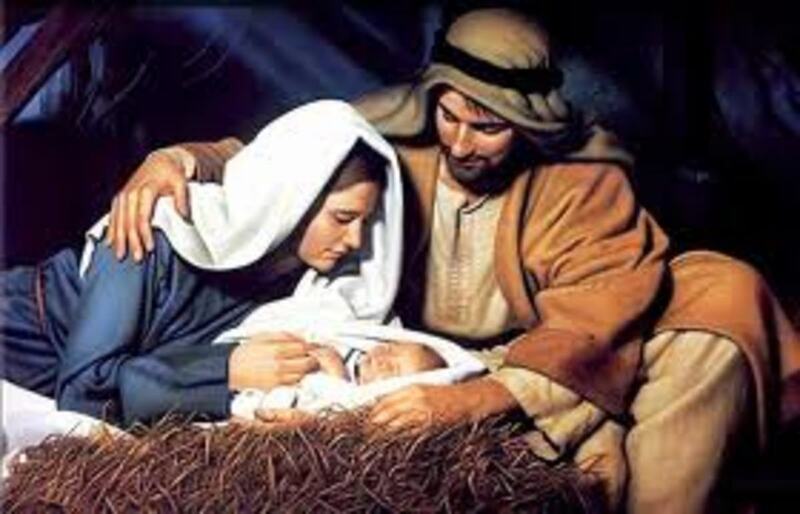 HE could have been CONCEIVED on Dec. 25th : ) If Christians want to esteem one day above the other in celebrating Christ so be it. To God be the Glory! Great article! It's really interesting how astronomy has helped tremendously to give us insight into our Savior's birth. I think that's really cool! I've always been told that His birth was probably not in December, and this information makes so much sense. Thank you for the awesome article! Praise God, Raquel. If the 'Church' had stayed on the path of following our Savior, we wouldn't be fighting the matter of Christmas to this day! Repentance means to TURN AWAY from these things and if repentance were NOT possible, we would remain in our sin. God is calling His Church out of Babylon. Let's pray your pastor has eyes to see and ears to hear and shepherds the Church of God OUT of Her. I thank God you see and hear. Bless you! Thank you very much for your comment. I discovered the truth about Christmans when I was teaching cultures to pre-school teachers. I printed your comment and gave it to my pastor. It is time for change. Jesus was born in a barn. Amazing, isn't it Ann7777? Is it any wonder such tragedy was purposely imposed on the birthdate of our LORD? Yes, His coming will be a day of mourning for those who pierced Him and rejoicing for those who love His appearing. George W. Bush declared Sept. 11th to be a national DAY OF MOURNING. The Bible says that people will MOURN when they see him coming in the sky! Yes, wba108@yahoo.com ~ Amen. Makes us 'think' of how we now feel when Christ's birth continues to be celebrated on Dec 25th - oh, the roots of that particular 'day' when it comes to false gods! Is it not an abomination of the 'church'?! Same thing with 'Easter' (the eggs, rabbits, 'lent')!! In fact, God calls those who mourned for 40 days for Tammuz (now called 'Lent' 40 days before that celebration of 'Easter') an ABOMINATION (Ezek 8:13-14). We ARE without excuse. God's Truth is being revealed to those who are merely ignorant, so they know better. Those who truly love God will repent; those who are in love with their traditions and deny the severity of what they're doing, love their traditions. Mark 7:8 "Neglecting the commandment of God, you hold to the tradition of men." Your comment was inspirational and anointed. Thank you and God bless you abundantly. "Historian Ernest L. Martin consulted NASA lunar-phase tables and found the image of the heavens in Revelation 12, the time of Jesus’ birth. “‘The moon under her feet’ could only occur during an eighty minute period on September 11th of 3 BC between sunset at ‘6:15pm and moonset at 7:45pm’ (The Birth of Christ Recalculated and The Star that Astonished the World, page 85, 1996.)" While the link provided above has the wrong years for the calculations, it does provide some great information about the birth of John the Baptist, which I have written below. John's father, Zechariah (Z'chariyahu in Hebrew), was of the priestly division of Abiah (or Abijah) (Lk. 1:5). There were 24 such divisions (1 Chr. 24:7-18) taking their turn over the course of the year. Abiah was the 8th division (1 Chr. 24:10). According to the Mishnah (the Jewish commentary on the Torah), the priestly cycle began on the first Sabbath (Saturday) of Nisan, and each division ministered for one week. The cycle got delayed because all priests were required to attend the Holy Temple (Beit Hamikdash in Hebrew) at Passover, Pentecost and Tabernacles. The 8th division would have served in Sivan (June). After Zechariah returned home...well, add on a bit of time for conception, then add nine months and John would have been born at Passover. Jesus said John was ‘Elijah who was to come’ (Mat 11:14) and the Jews expected that Elijah would come at Passover – it is their custom to put an extra cup of wine on the table at Passover in the hope that Elijah will come and drink it. Likewise, the writer of the article link above also places Jesus' birth in September. Fascinating, indeed! Fascinating! I look forward to reading your other "hubs" too. I do have one question: You stated "The Bible gives clues that John was born around the time of Passover (Nisan, in the Spring)". Than in a followup post said Nisan is commonly accepted. What are the clues in the Bible that John was born around Pasover? Hi peanutroaster, Did you mean "Let's just hope the Bible proves traditional teachings wrong on other things also"? The Bible is not wrong about this; it's the teachings of the RCC that are wrong. Blessings. Let's just hope the Bible gets other things wrong also. 1) Life definitely begins at conception, yes. The movie asks the question, was Sept 11, 3 BC the 'conception' of Jesus? I believe that because it is written that at the time the Woman was clothed with the sun, had the crown of 12 stars and the moon under her feet (9/11/3BC), "she being with child cried, travailing in birth, and pained to be delivered. And she brought forth a man child." This was the delivery. 2) The Star standing still exactly on 12/25 (as he then called 'The First Christ-Mass') should not mean we celebrate the birth of Christ on that day. Rather, I could accept that we give gifts to each other on that day because that is what the Magi did ~ they brought gifts to the King of kings. 3) The blood moon on the day of Christ's crucifixion was awesome. Joel's prophecy was fulfilled ~ as preached by the Apostle Peter on the Day of Pentecost. 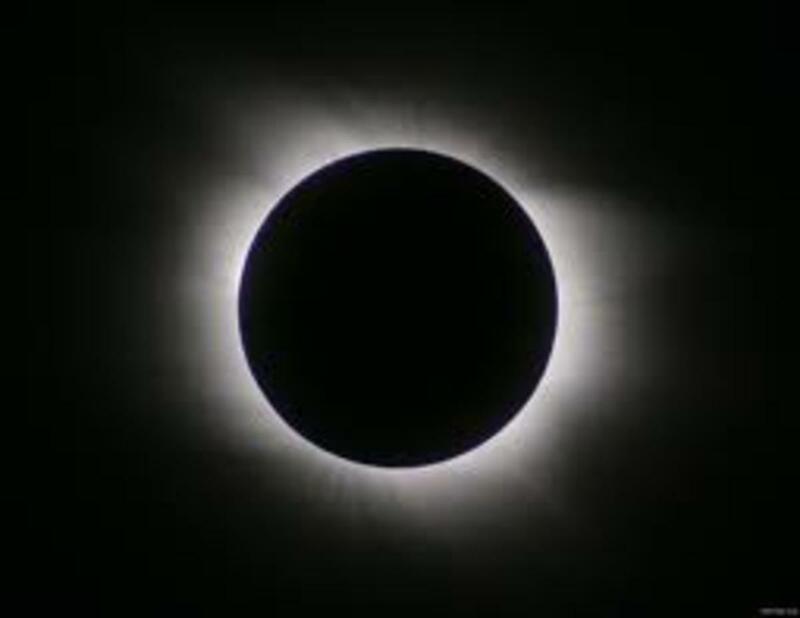 Reading the words of Jesus in Mat 24:29, we know He was not prophesying of His imminent death, or even the Day of Pentecost to come, but is yet to be fulfilled: vs. 29-30 (KJV) "Immediately after the tribulation of those days shall the sun be darkened, and the moon shall not give her light, and the stars shall fall from heaven, and the powers of the heavens shall be shaken: And then the sign of the Son of Man will appear in the sky, and then all the tribes of the earth will mourn, and they will see the SON OF MAN COMING ON THE CLOUDS OF THE SKY with power and great glory." We will stand steadfast in the faith, "looking for the blessed hope and the appearing of the glory of our great God and Savior, Christ Jesus!" (Titus 2:13). Hallelujah!!! Everyone needs to watch this movie, for sure! Praise God, christ4ever ~ so blessed by you!! It IS amazing, sister jesusmyjoy! Amen! Let me know after you watch it..what you think. Yes, I will enjoy the time with my family as well. As Christians, we are to walk in the truth, so knowing what is revealed it's up to each of us to do what is pleasing to God alone, not others. It was man who made December 25th a holy day, originally to other gods, so I personally don't feel celebrating Christ's birth on December 25th is the holy thing to do. It's not for me to 'judge' anyone in respect to what they choose to do, as God has given every man free choice. The 'shadow' spoken of in respect to holy days (feasts), new moons and Sabbath days were specifically those of Israel. Israel never celebrated the birth of Christ or any holy day on December 25th. Yes, let's celebrate Christ every day of the year, for this is pleasing to Him. Thanks again, Brie! Can't wait to see the movie! When you watch the movie you will see how they know. I don't want to spoil it for you, it's pretty cool. Regarding celebrating holidays on certain days. The scripture that comes to mind for me is "to the pure all things are pure'. I don't like all the secularization of Christmas to be sure but I do enjoy celebrating with my family and personally I don't think God cares what day as long as we are his. I think as long as you are celebrating Christ whether his birth or death or Resurrection God is pleased. Hi Brie! I have referenced "The Star of Bethlehem" in this publication, but have not seen the movie. I'll be sure to view it. I always appreciate hearing from you! I'm sure you won't take this personally, but I've got to share my two cents. How anyone can determine the date the wise men arrived to see the toddler, Jesus, is beyond me. Even if this were true, I don't see any justification in celebrating the BIRTH of Christ on December 25th. The wise men weren't there in September, so I don't think they'll be at my nativity scene with baby Jesus. Deut 12:30-31 comes to mind - KJV "Take heed to thyself that thou be not snared by following them, after that they be destroyed from before thee; and that thou inquire not after their gods, saying, How did these nations serve their gods? even so will I do likewise. Thou shalt not do so unto the LORD thy God: for every abomination to the LORD, which he hateth, have they done unto their gods; for even their sons and their daughters they have burnt in the fire to their gods." Well, we don't sacrifice our sons and daughters, but nonetheless, we celebrate the birth of Christ on the day pagans celebrate the birth of their gods, let alone the practice of bringing trees into the home and propogating Santa Claus (aka Saint Nicholas) to our children (as our parents ignorantly did with us). I love you, sister. Thanks so much for reading and commenting. God bless you!! Have you seen the movie "The Star of Bethlehem"? It talks about this. According to this documentary you are correct but the wise men visited Jesus ON...DECEMBER 25th! So you can still put the nativity up with the Wise men on the 25th! It's a fascinating movie. Oh and you can watch it on You Tube but it's difficult to hear. Hi Abraham! If you google Jewish feasts you will find a ton of information there. I think it's awesome that not only was Jesus born on Rosh Hashana, but it also involves two witnesses being sent up on the mount to watch for the first sliver of the new moon, which can happen within a 48-hour period. This is known as "The day or hour no one knows" - Ah! Jesus gave this idiom to His disciples when they asked the timing of His return (Mat 24:36)! Indeed, He will come again at Rosh Hashana! Thus far, Rosh Hashana was the birth of our LORD; Booths is the Feast of Tabernacles (the Word became flesh and 'tabernacled' among us); Passover/Feast of Unleavened Bread was His crucifixion; Feast of First Fruits was His resurrection and Pentecost was the outpouring of His Spirit upon believers. We have yet to see Rosh Hashana, once again (return of our LORD); feast of Atonement (Yom Kippur) and the Wedding Feast! And He will forever 'tabernacle' among us. Be blessed!! For me, my motive is to understand the significance of the Jewish New Year holiday and the other feasts during this season. Can anyone help with that? I believe He was born on Rosh Hashana since that is the date of creation and Yeshua is our Creator! So how fitting for Him to be born that day! Yet what then is yom kippur and booths? Anyone? ggg, would you please provide that proof, and also answer all the other signs and support of the date of Jesus' birth mentioned in this hub? It's fine to challenge, but why not reason the 'proof'? That would be much more respectable, don't you think? Unfortunately it has been proven that Herod's death had to be in 4 B.C. so your date of Jesus' birth is wrong. Hello to you as well. I've been on hiatus, but I may slowly start to come back. Hey there stranger! Good to see you! Thank you kindly. I hope you know I continue to feel the strong love of Jesus in my heart for you. I had heard about the birth of Christ being on September 11th, but never in this much detail. Kudos. Thank you, wolfpack5!! You're such a blessing! Happy and Blessed New Year 2011 to you also!! May Jesus Christ be PRAISED this Day!! Thank you, FirstCommunion ~ may the Lord continue to give me more understanding and inspiration to write as He leads, to feed His sheep. God bless you!! We really love reading your article. Keep it up! Hi Jerami ~ Good to see you! Thank you so much and God bless you! oceansunsets, Thank you and I hope you are yet enjoying the love of family and friends in the love of the Lord. Peace be with you, also Traveller99. Just wanted to stop and agree with everyone posting above! Great hub, and thank you for sharing. Merry Christmas! Traveller99, Truth unites, doctrines divide; amen. Long before the Catholic church or Islam became 'doctrines', the Truth was born, the Savior of all mankind, Whom the Bible reveals, based on my studies, is God with us (Immamuel). Isa 7:14 prophesies, "Therefore the Lord Himself will give you a sign: Behold, a virgin will be with child and bear a son, and she will call His name Immanuel." Isa 43:11 "I, even I, am the LORD, And there is no savior besides Me." Isa 45:21 "And there is no other God besides Me, A righteous God and a Savior; There is none except Me." Hosea 13:4 "Yet I have been the LORD your God Since the land of Egypt; And you were not to know any god except Me, For there is no savior besides Me." Isa 45:21 calls Him the righteous God and Savior. If we look at the New Testament in Titus 2:13 "looking for the blessed hope and the appearing of the glory of our great God and Savior, Christ Jesus" and 2 Pet 1:1 "To those who have obtained a faith of equal standing with ours by the righteousness of our God and Savior Jesus Christ", we know He is as stated in Isa 9:6 "For a child will be born to us, a son will be given to us; And the government will rest on His shoulders; And His name will be called Wonderful Counselor, Mighty God, Eternal Father, Prince of Peace." Truth is refreshing (a rock of offense to some), and I praise God His Spirit leads us into all Truth, just as Jesus said in John 16:13 "But when He, the Spirit of truth, comes, He will guide you into all the truth; for He will not speak on His own initiative, but whatever He hears, He will speak; and He will disclose to you what is to come." We know this is the Spirit of Christ, because He said in John 14:18, "I will not leave you as orphans; I will come to you." This happened on the Day of Pentecost in Acts 2. Furthurmore, Rom 8:9 confirms, "However, you are not in the flesh but in the Spirit, if indeed the Spirit of God dwells in you. But if anyone does not have the Spirit of Christ, he does not belong to Him." May Jesus Christ be praised, for He is YHWH, God our Savior. Thank you for confirming this truth, that Jesus was indeed born in September. Blessings to you. We Muslims are also told that Jesus (peace be upon him) was born in the ninth month of the lunar calendar and so it was incredibly refreshing to have come across this article. JudyJudy, thanks so much for sharing. I think of how the Israelites, under Aaaron, no less, made the golden calf to honor the God that brought them out of Egypt. Ex 32:4 "He [Aaron] took this [gold] from their hand, and fashioned it with a graving tool and made it into a molten calf; and they said, 'This is your god, O Israel, who brought you up from the land of Egypt.'" We are not to use anything pagan to worship or attribute to YHVH. It's not uncommon for those who love Christmas and deeply believe it is to celebrate Christ's birth (in spite of all the biblical and historical evidence to the contrary) to say those speaking up about the origins of Christmas are attempting to take 'Christ' out of 'Christmas'. I don't believe He was ever in Christmas to begin with, and frankly we're making an effort to take Christmas out of Christ. Man has made God fit his desires, and we need to change that to man fitting God's desires; amen! Enjoyed this piece, JD. For those who think it's okay to make up a Christian name for a pagan celebration, they might want to read the Biblical reasons the Jews went into Babylonian captivity. One was for not letting the land rest on its seventh-year Sabbaths, the other was for mixing pagan worship with their worship of Yahweh. It's one thing to "like" something ourselves; it's another to claim God likes things he's forbidden. Yes, amen bettybarnesb! I watched a story of Mary and Joseph yesterday ~ how Mary was ridiculed for believing God was bearing His Son through her, though she was a virgin and betrothed. She had courage, was alone and submitted to the will of God, even to His death on the cross. May we have that same Spirit within us, to love God and follow His will, no matter what the cost. God bless you. Praise God, yet again, fellow servant, Jachda! I, too am thankful that He is faithful to lead us into truth. The grieving we feel when this happens is over our past ignorance and blindness. The good news is, we can repent and follow Him ~ choose to follow Him, which brings JOY!! Unfortunately, it will also bring ridicule from those who have not yet been enlightened, and love darkness rather than light. If they truly love the Lord, they will remain under conviction, for God desires all men repent and walk in the true knowledge of Him who loves them. God bless you abundantly!! I am so thankful for good writing that is based upon truth. It blesses my heart and makes me feel joy. God Bless you. There is much we agree on. This is to me a sacred acknowledgement of the greatest event in the history of the world. The day God put on flesh and walked among us. If He never convicted me of the "evil" of celebrating the birth of Christ on December 25 would you think that I'm not listening hard enough? Is it not possible that God has put His blessing on this special day? Does He not have that perogotive? I believe that what I put in my first comment is true. The tree is beautiful, cannot God make the root holy and acceptable? I hope it is not your contention that all who celebrate Christmas are despised by God. Over eating is a sin. Calling someone fool puts people in danger of Hell. We all commit sin. Jesus came to set us free. I guess I have no hope if He doesn't forgive me for celebrating His birth on Christmas. I guess "woe unto me" for believing in the magic of the Christmas season. I guess I'm calling bitter, sweet and darkness, light for spreading the hope of the Christmas season. I have come out from among them. My life is His. But the heathen and their lore have need of this remembrence of God with us. I was just thinking this morning about the Catholic church’s motivation for setting Christ-Mass on the day of Saturnalia’s birth of the Sun god, in order to convert those who practiced such things to Christianity. First, 1 Cor 9:22 came to mind, “To the weak I became weak, that I might win the weak; I have become all things to all men, so that I may by all means save some.” Does this mean we partake of their practices, or call their practices by God’s name? The tree, holly, mistletoe, yule logs, and most of the customs practiced during Christmas are those of the festival of Saturnalia. Saint Nicholas is the world’s ‘god’ that is given the attributes of the true God. We are not to ‘share’ God’s glory with another. That is idoloatry. We’ve come to love the customs so much that we ‘justify’ our behaviors because we love God? How do we show God we love Him? Is this a holy way? Celebrate in September, without the lore of the heathen. Therefore, it’s up to your heart what you will do with the customs of celebrating Christmas (when and how). The LORD is the judge of our hearts. I am not to tell you what to do; the Holy Spirit does this for each one of us. While I applaud your research in coming up with an exact date for the birth of Christ, I'm confused about your motivation. Ihope you are not saying that God is displeased with His children for celebrating the birth of His Son on December 25th. There is so much good that happens around this time of year because of Christmas. The world stops each year to reflect on the significance of the birth of Christ. People love more, give more, pray more, help others more, this time of year than any other. As the days become shorter due to the winter solstice, depression mounts. It is the magic of Christmas that brings much needed hope to so many. No other day draws so many together for the purpose of doing good. While much has changed over recent years, the attacks of the politically correct, the attacks of the secular world, and commercialism, we as the church need to come together and stand united to proclaim unashamed and boldly without apology, the true meaning of Christmas. Do you think it possible to change the world to celebrate the birth of Christ to September 11 or 12? Neither do I. We know the significance of WHAT we celebrate. I believe God is pleased in spite of the date. Jesus was God in the flesh. God is Spirit, the Holy Spirit, and is omnipresent. In the flesh, He was the Son of God, and Son of Man. He was made a little lower than God (Psalm 8:5) and when you compare this to Heb 2:9, He was made a little lower than the angels. 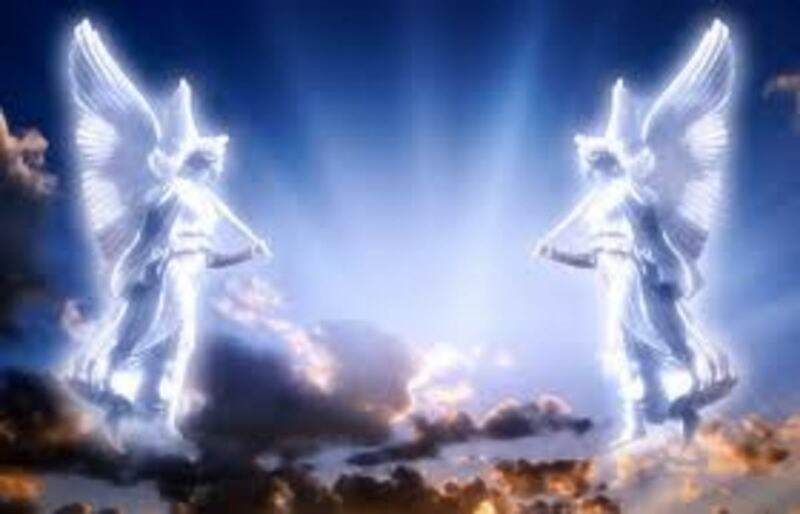 Elohim includes the Spirit of God, His image in His Christ, the angels, magistrates and even us! Consider what Jesus said in John 10:34-36 "Jesus answered them, 'Has it not been written in your Law, 'I SAID, YOU ARE GODS'? If he called them gods, to whom the word of God came (and the Scripture cannot be broken), do you say of Him, whom the Father sanctified and sent into the world, 'You are blaspheming,' because I said, 'I am the Son of God'?" The word 'God' here is the Greek rendition of the Hebrew 'elohim', which is originally written in Ps 82:6: "I said, 'You are gods [elohim], And all of you are sons of the Most High.'" I pray this enlightens you even more, as you are a shepherd of the sheep. God is Truth, and His Truth will penetrate all forms of error. That is His promise. God bless you. As far as I am aware the Catholic church reconises all christians as saints even those of the Prodestant faih. Dear JD To whom was Jesus praying in the garden of Gethsemane? To whom was Christ speaking when on the cross he said " Father,why have thou forsaken me?."? PS I am not Roman Catholic I am a Presbyterian! Isaiah 8:19 "When they say to you, 'Consult the mediums and the spiritists who whisper and mutter,' should not a people consult their God? Should they consult the dead on behalf of the living?" And, look at what happened to Saul when he wanted to consult Samuel after Samuel died! (1 Sam 28) Saul was killed shortly thereafter. Consider also, when John fell at the feet of the angel in Rev 19:10! The angel said to John, "Do not do that; I am a fellow servant of yours and your brethren who hold the testimony of Jesus; worship God." Philemon 1:5 is speaking of living, breathing saints (on earth). We are not to disturb the souls of the saints who have passed on before us. There is only ONE Mediator between God and man, Jesus Christ - as Son of God/Son of Man, in that He died for our sins (1 Tim 2:5). And while you may believe God is three, the Spirit of Christ is the Holy Spirit, which is God (John 4:24; Rom 8:9; Acts 5:3-4). If the Holy Spirit were another 'person' of the Godhead (which merely means Diety), the Holy Spirit would be the Father of Christ, not Father God. Can you see that the Holy Spirit IS the Father God? He makes intercession for us (Rom 8:26 and Heb 7:25). If you would like more proof that God is ONE LORD, I have several hubs on the subject. I suggest you read "ROCK OF OFFENSE" to see how the Catholic church contributed to the latter-day three-part God doctrine. That hub will give you clear, scriptural proof that Jesus is YHWH. I love you in the love of the Lord, and do not mean to sound harsh; I just pray your understanding will be opened by the Lord Jesus Christ, as He did for His disciples in Luke 24:45. Yes, Websense, Jesus rose the first day of the week, but that 'day' began at sunset on Saturday. I agree with your assessment ~ whether Jesus rose during the night or wee hours of the morning is still the first Hebrew/Jewish day of the week. Amen!! God bless you!! I see the myth of "Roman Catholics are Pagans" raising it,s hideous head again.But I must draw your attention to the fact that the saints are not dead as you boldly stated!For as of this very moment they are in Heaven and therefore more alive than you or I,as those in Heaven are no longer subject to death. The saints in Heaven pray for us Revelation 5:8 (KJV) And when he had taken the book, the four beasts and four and twenty elders fell down before the Lamb, having every one of them harps, and golden vials full of odours, which are the prayers of saints.Also please read Philemon (KJV) 1:5 Hearing of thy love and faith, which thou hast toward the Lord Jesus, and toward all saints. These are only two of many references in both the Old and New testaments of praying to saints for intercession.The saints in Heaven whom you say are dead bring the prayers of the living saints on earth to Christ who then brings them to the Father.The saints intercede to Christ in Heaven as we intercede to Christ on earth. "The gospel writers tell of several different visits made by the disciples to the tomb on that first day of the week. In every instance, they found the tomb empty. ... The first day of the week was when the disciples "discovered" that he was risen, but nowhere does the Bible actually say this was the time of the resurrection." That is how spiritual truths work. We cannot see spiritual truths with our own minds - they are in darkness to us. But when the Holy Spirit gives revelation, then it becomes light to us, and we see the truths with spiritual eyes. That is when spiritual truths become real to us subjectively, in our experience. But these spiritual truths existed before we could see them. Likewise, Jesus rose at sunset - it was dark. Later, when it was starting to get light at sunrise, the disciples saw that Jesus had already risen. Also, for Mark 16:9, since there were no punctuation marks in the Greek manuscripts, the verse could read as, "Now when Jesus was risen, early the first day of the week he appeared first to Mary Magdalene." Ralph Woodrow states, "This seems to be the meaning originally intended, for the verses that follow show that Mark was recording the various appearances that Jesus made, not explaining on which day the resurrection took place." I hope that clarifies the 3 days and 3 nights.